Wedding Photography at Nunsmere Hall, Cheshire. Located near Chester, you will receive a warm welcome from an English country house, boutique hotel, known as Nunsmere Hall. This luxury heritage hotel is the ideal wedding venue to relax and unwind in. 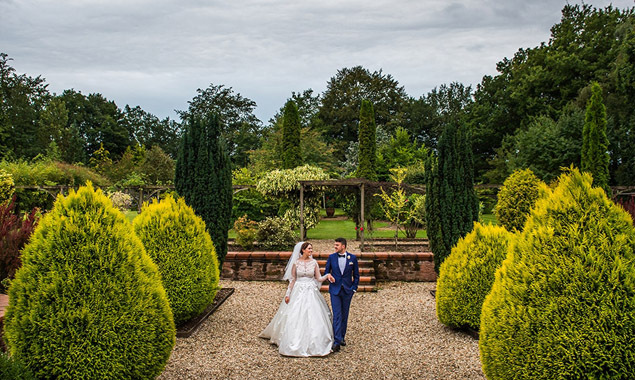 With its romantic setting, Nunsmere is set on an island in the heart of the Delemere Forest, on a private estate, surrounded by magnificent 60 acre lake and beautiful grounds which also houses a charming Italian sunken garden, the ideal wedding venue location. Nunsmere Hall was built around the 1900’s and held an important role in maintaining food supplies during the First World War. The venue then became a place where glittering parties were held and attended by the good of Edwardian England. Nunsmere Hall is now a popular choice for weddings receptions and ceremonies. The picaresque photos that I have captured here have been breathtaking and admired by many brides. With Nunsmere Lake just a short walk away through a little forest with a jetty at the end, it offers something very unique for your wedding photographer to take advantage of. You may be lucky enough to have the local residents taking to the water with their speedboats and waterspouts making for some very quirky backdrops. If you would like to see more of my wedding photographs click on my latest wedding logs link.